International SOS was founded in 1985 in Singapore by two doctors, Mr. Pascal Rey-Home and Mr. Arnaud Vaissie, with goals to become the leading provider of International Healthcare, medical security and customer care. International SOS has since achieved these goals, employing more than 6000 employees and operating extensively throughout the world and the Asia-Pacific region in particular. 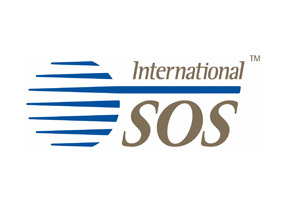 International SOS provides services in over 70 countries, having regional headquarters in Singapore , Jakarta , Hong Kong , Sydney , Johannesburg , Dubai , London , Madrid , Paris , Philadelphia , Shanghai , Tokyo and Moscow . International SOS is able to provide quality assistance to its customers whatever situation they find themselves in, or wherever they find themselves. This includes governments, groups, corporations, businesses, individuals and non-profit organizations. By maintaining a policy of listening to customers concerns and focusing on how to improve, International SOS has gained much popularity with its customers in the insurance industry world, which has lead to its recent rapid spread throughout the Asia-Pacific region and the rest of the world.